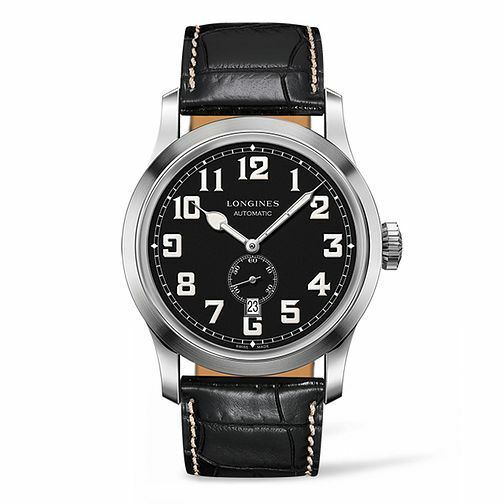 Longines deliver effortless Swiss timekeeping with this men's strap watch. Set on a smart black croc effect strap, the polished stainless steel case is set with a bold black dial, simply finished with oversized numerals. A versatile watch perfect for day to day timekeeping.